As we are promised good weather tomorrow, the Lido will be OPEN from 9 am until 2 pm. Spread the word so that as many people as possible can take advantage of this extra session! Thanks to our always helpful and cheerful staff for making this possible. 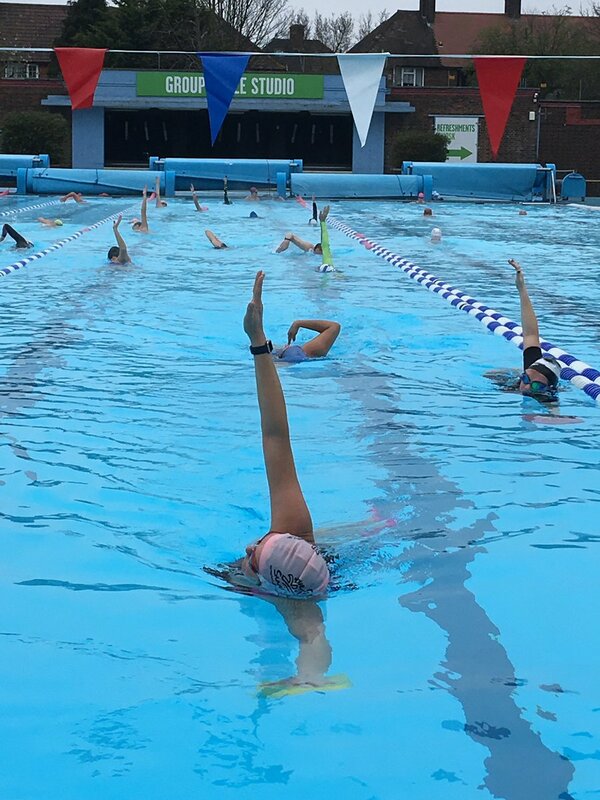 Throughout the winter, more and more people have discovered the Swim Doctor programme on Monday evenings and Friday mornings at Charlton Lido. 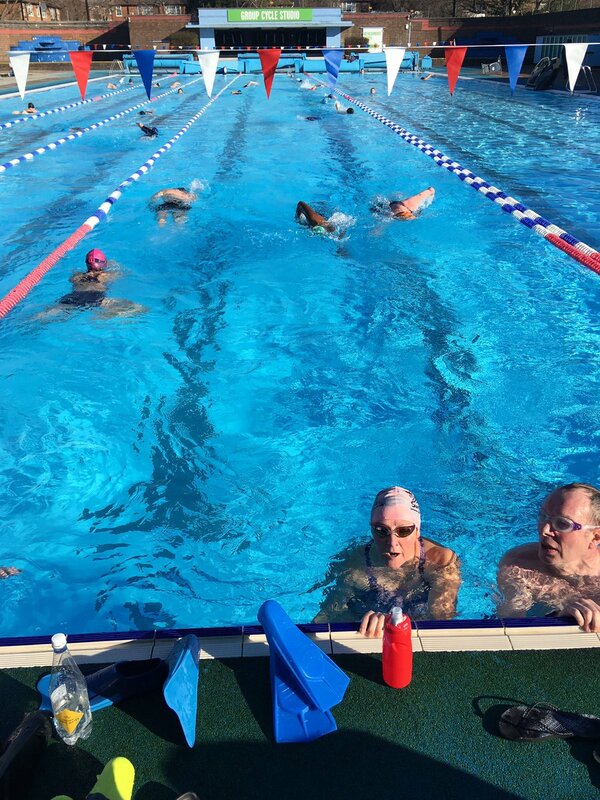 People come for a range of reasons from improving their technique or learning a new stroke to building their stamina or training for an open water event or a triathlon. 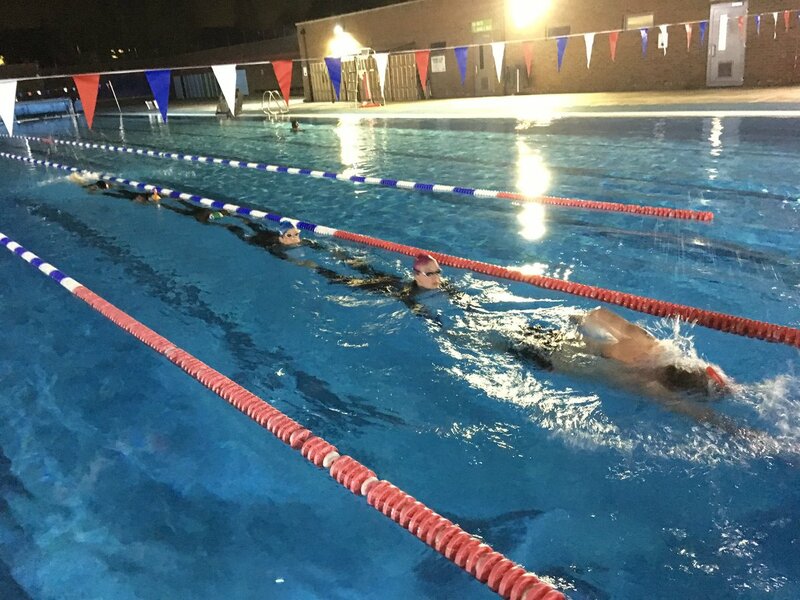 At the end of April, at least eight of the regulars, together with Swim Doctor Tracy herself, will be putting all that training to good use by taking part in Swimathon 2018. 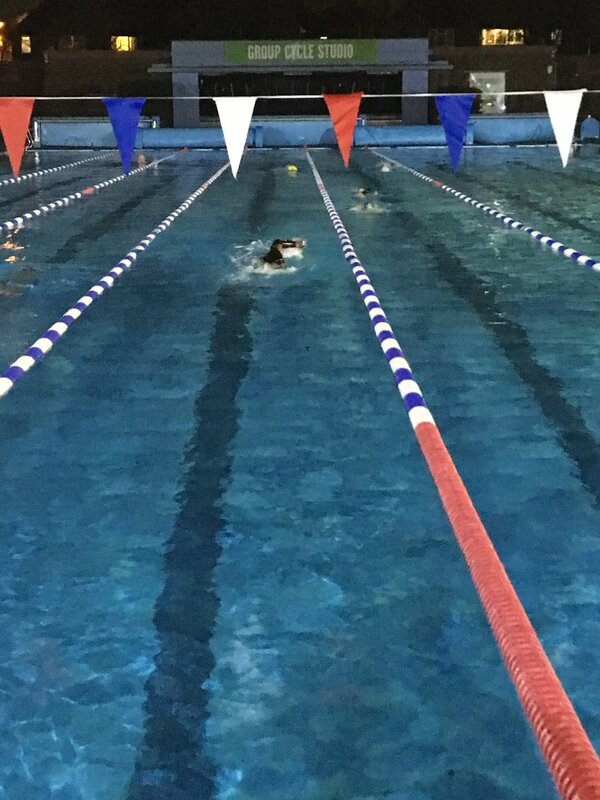 Swimathon is the world’s largest annual fundraising swim, and the participants will be raising money for two of the UK’s largest cancer charities, Cancer Research UK and Marie Curie by swimming 5km – that’s 100 lengths of the Lido – either in teams or as individuals. If you’d like to support fellow Lido swimmers in this great challenge, you can donate via Tracy’s fundraising page, The Swim Doctor goes in!! So far, with three weeks to go until the event, the team has managed to raise a fantastic £526. Well done to all those taking part! 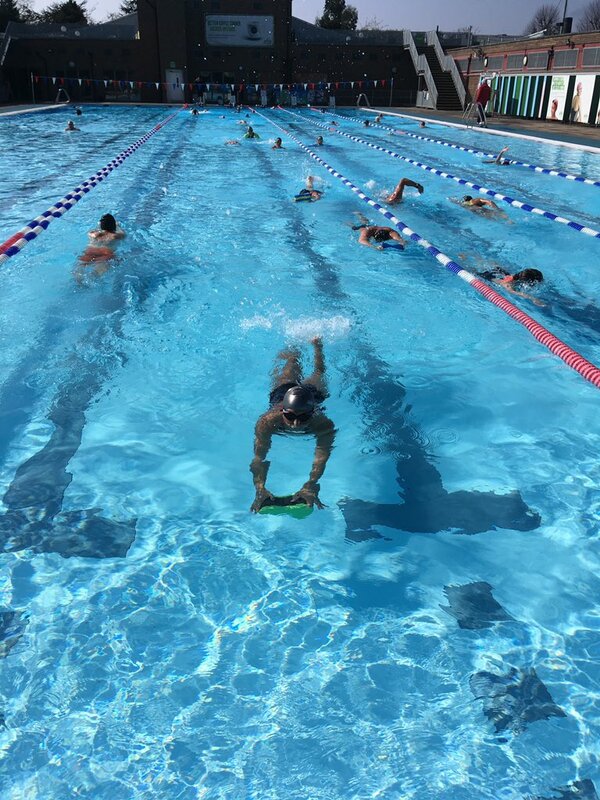 From Tuesday 3rd April the Lido will be open 7 days a week, with 7am-2pm sessions on Wednesdays and Thursdays in addition to the current winter hours. Details of the full summer programme will be published in May. Let’s hope the increased hours bring with them some more seasonal weather – not least for the sake of the brilliant lifeguards who’ve had such a warm welcome for swimmers throughout the winter, undeterred by the Beast from the East, Storm Emma, the Mini-Beast etc – and that we can look forward to a long spring and summer of sunny days at the pool! If you’re a Centre Member and you’ve opted to receive email updates from Better you should have received an email inviting you to the next Customer Forum meeting on Wednesday 21 February at 6.30 pm. The Forum meetings are a great chance to meet the managers – who genuinely do want to hear your feedback and act on it as far as possible. For example, the pool hours this winter were adjusted in the light of user feedback to extend opening hours until 2 pm three days a week, a change which has proved popular with swimmers and resulted in good levels of take-up. Meetings are limited to 15 participants so that everyone has a chance to contribute to the discussion, so if you are interested in attending email charltonlido@gll.org to request a place. Following the recent Customer Forum meeting, and feedback from members over the summer, the Lido has now published the winter pool programme which will commence on Monday 9 October. The good news is that it follows the broadly the same pattern as last year but with the addition of three lunchtime sessions per week, two of which replace the 2-4pm slots on Monday and Tuesday which were the quietest times of the week. It’s hoped the new pattern will enable more people to swim regularly throughout the winter season. The early morning opening on Monday will also continue through the winter, in response to popular demand. The Swim Doctor programme will continue with three sessions per week through the winter, with the present Wednesday and Thursday morning sessions moving to Fridays from the week of October 9th. Sessions are free for members and £3 for non-members. Booking is advised.